Planning a family vacation can be difficult, especially when you are trying to juggle all the needs and wants on every person’s wish list. 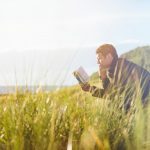 In addition, traveling with kids can be stressful – from the excursion to your destination to the entire family sleeping in one room – can make any parent’s head spin. 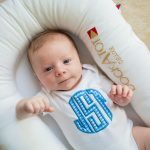 One of the best options for a family vacation is a place where the staff understands what parents need when taking a family vacation and who take a proactive approach to making sure everyone is comfortable. 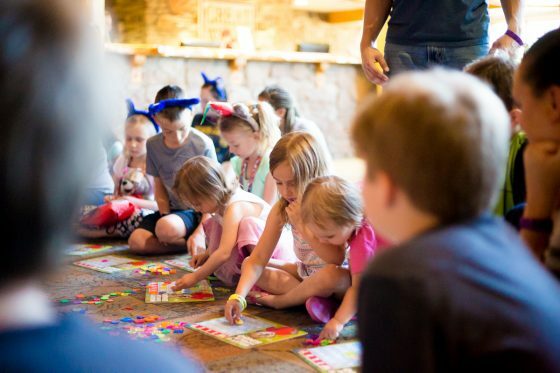 A resort that meets the needs of Mom and Dad with comfortable rooms, delicious food, and cocktails at the end of the day, as well as the needs of the kids with plenty of fun activities, kid-friendly accommodations, and a safe place to have adventures. 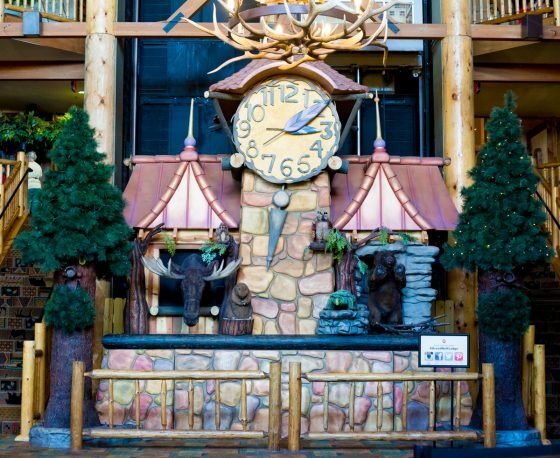 You can find all of this and more at Great Wolf Lodge in Kansas City. 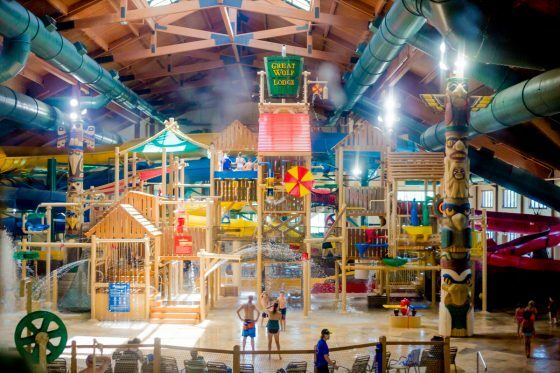 If you are looking for a family friendly resort, Great Wolf Lodge is hands down one of the best options for kid-friendly places to take a vacation. 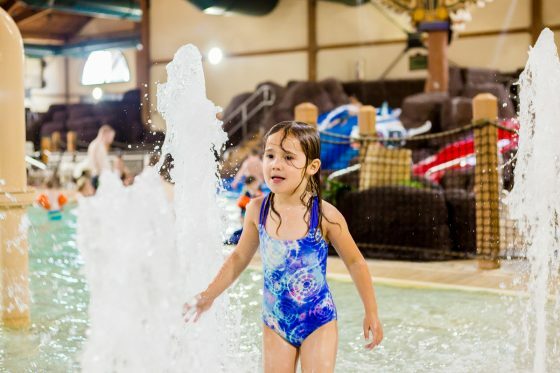 Although they are known for their indoor and outdoor water parks, Great Wolf Lodge has a plethora of other kid-friendly activities that are sure to keep every person in your family happy and busy from sun-up to sun-down. 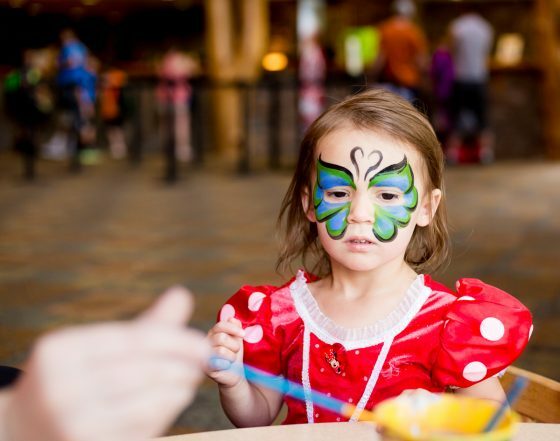 On top of their numerous activities, Great Wolf Lodge also strives to keep families in mind in everything that they do. 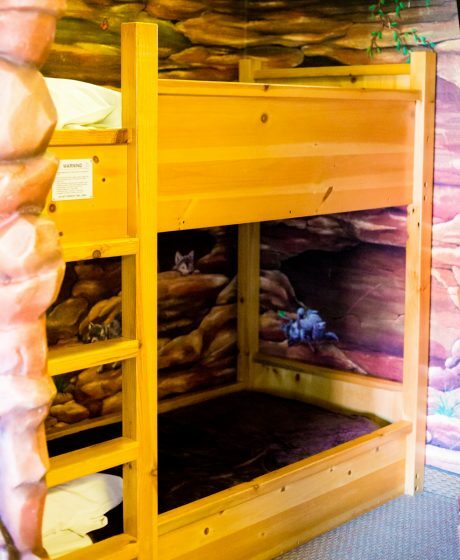 Their rooms are made to make sure your stay is comfortable, with options like a standard room with several beds or a deluxe room such as a Kid’s Cabin, KidsKamp, or Wolf Den suites which gives the kids a special place of their own to sleep with two bunk beds and a television. 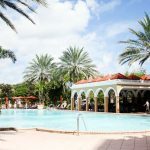 They ensure that the resort is totally family friendly by making safety their top priority by including softer surfaces around the resort, textured flooring on the pool levels, life jackets and attentive lifeguards in the water park areas, and locking all resort doors to be accessed only by guest keycard. 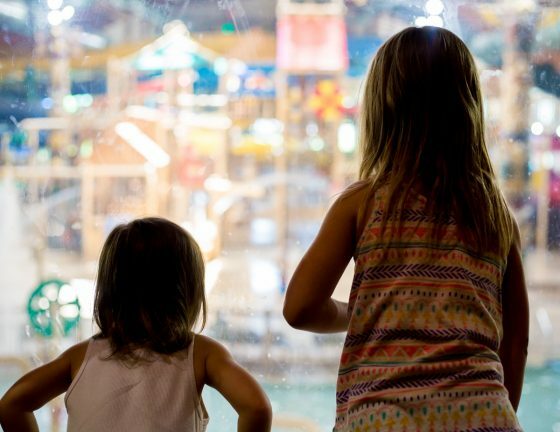 Parents know that it’s the little things that can make or break a family vacation, and Great Wolf Lodge strives to make sure all the details are taken care of for every family’s stay. 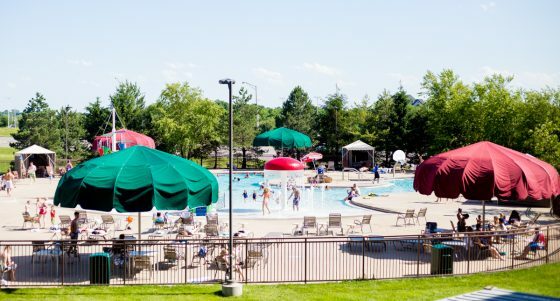 Their Kansas City location works tirelessly to make sure every person’s stay – from the youngest to the oldest – is filled with fun, adventure, and *some* relaxation. 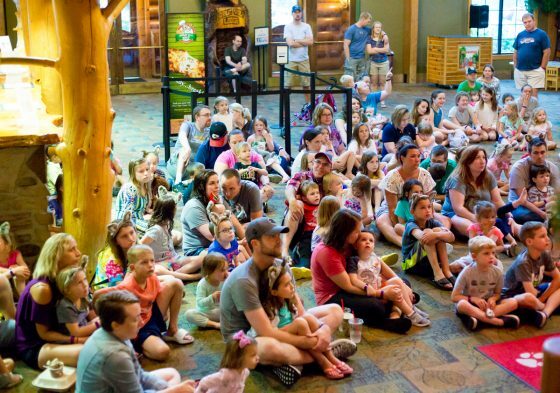 Not only is the resort itself filled with different activities, Kansas City offers a plethora of family-friendly activities for people of all ages, making this a perfect family vacation spot. 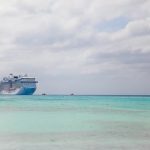 When making your itinerary for a family vacation, it is imperative that you have an plan of action so that you are ready to hit the ground running when you arrive. 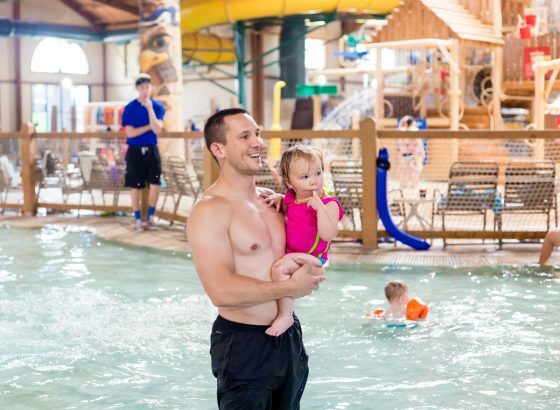 Great Wolf Lodge Kansas City has so many different activities for their patrons to enjoy throughout their stay that new guests can become overwhelmed by the options. 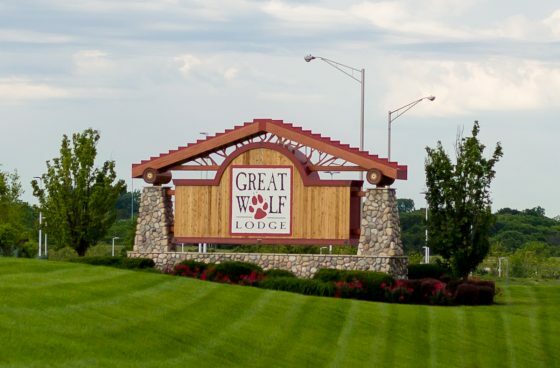 Below is a plan to get you through your stay at Great Wolf Lodge Kansas City so you can be sure to enjoy all that they have to offer. 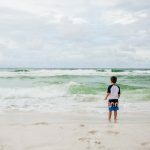 Planning any family vacation requires research, time, and effort to figure out what is best for your family. Great Wolf Lodge Kansas City ensures that each of the families staying at their resort have what they need to make it a howling good time, but going through all the options can be mind-boggling! 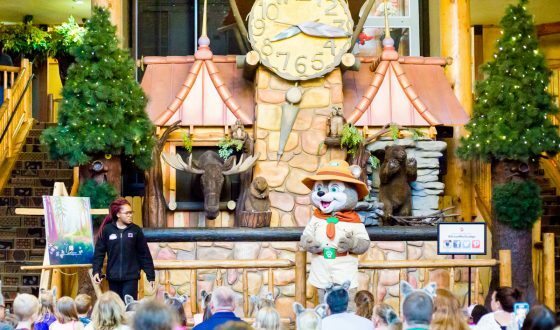 Below is a plan to help you figure out some of the best things to see and do during your stay at Great Wolf Lodge Kansas City. 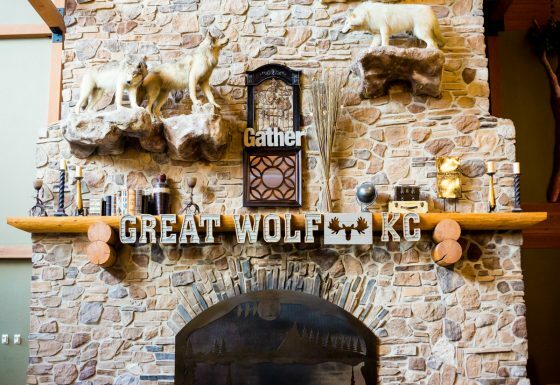 First things first when planning your stay at Great Wolf Lodge Kansas City. 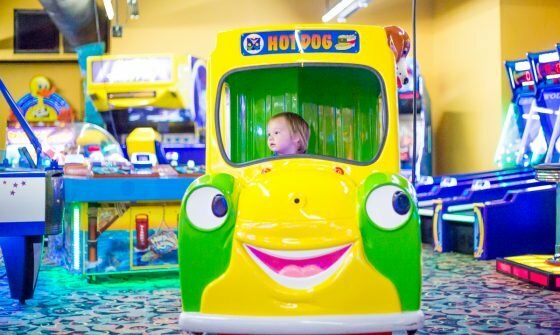 The rooms at this kid-friendly resort have more than just a couple of beds and a pull out couch. 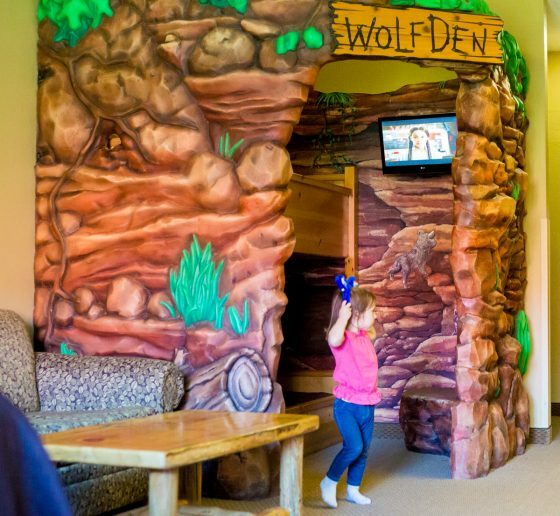 If you’re looking for something a little different, opt for their Wolf Den, KidsKamp, or their Kids Cabin suites. 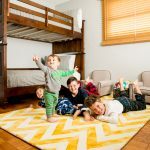 Each room comes with a bed for Mom and Dad, and a set of bunk beds for the kids. And if you have some leftovers from your amazing meals at their several restaurant options, they equip you with a mini-fridge and microwave for your use. If you are spending more than just a day or two at the resort, a meal plan may be in your best interest. 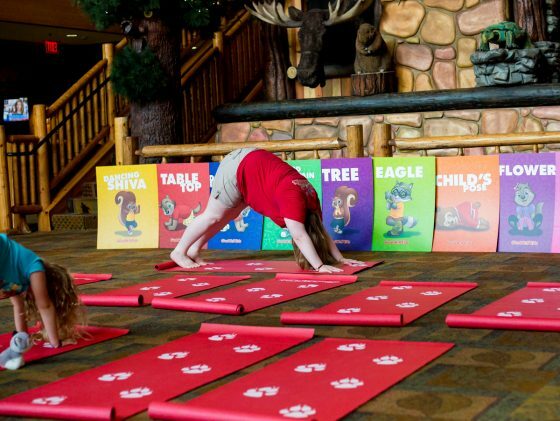 The meal plan covers food for anyone ages 3 and up, and can be used in any of the dining facilities in Great Wolf Lodge. You get a voucher for their breakfast buffet, $20 per person for lunch, and $30 per person for dinner. You also get a 32 oz reusable cup that can be refilled for free at any food location throughout your stay. All the monies are combined rather than allocated individually, so you can use the money however you please. 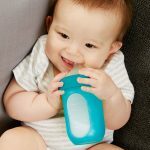 This helps to pay for food for those under 3 as well as give you flexibility in your days in case you want a few extra treats. 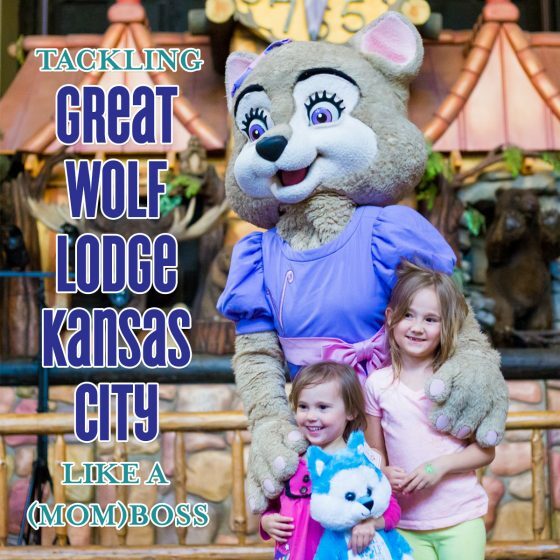 One of the best things you can do while staying at Great Wolf Lodge Kansas City is to get a Paw Pass or a Pup Pass for your little wolf cubs. 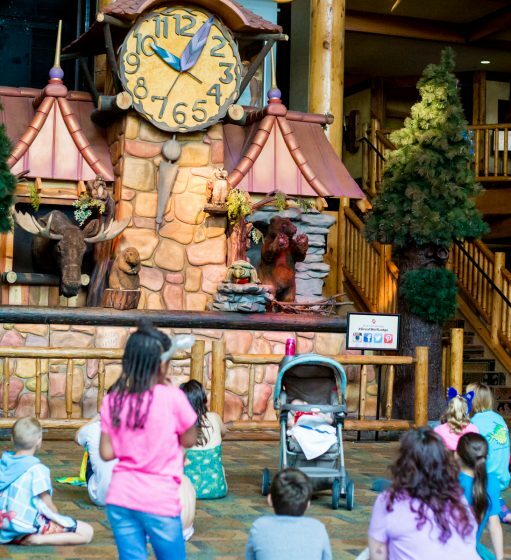 The prices vary on which type of pass you decide to purchase, but the end result is the same – lots of fun throughout your stay at Great Wolf Lodge Kansas City. 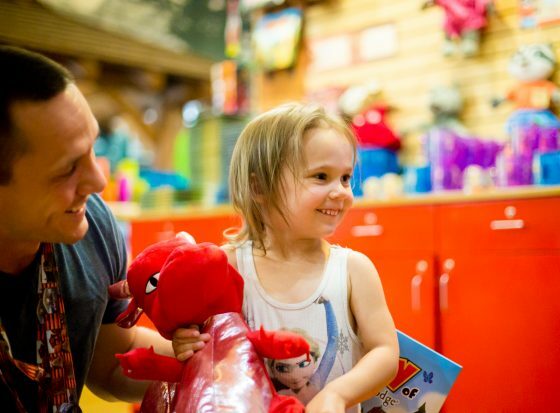 Now, you obviously can’t do all of these things (don’t forget about the water park!) in one day. 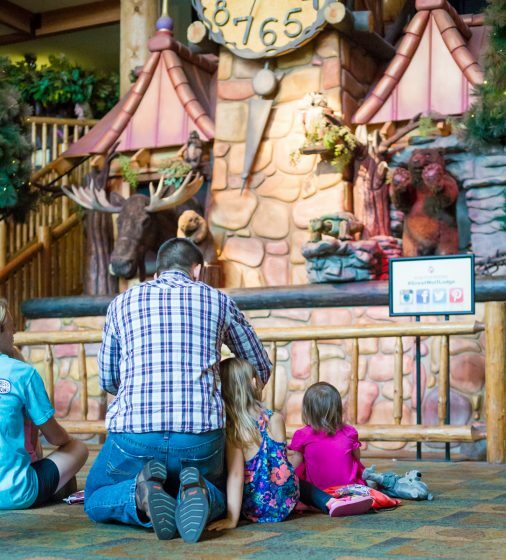 You need several days to enjoy everything that Great Wolf Lodge has to offer. But what is the best plan? Check out our make-shift itinerary below to get you started. 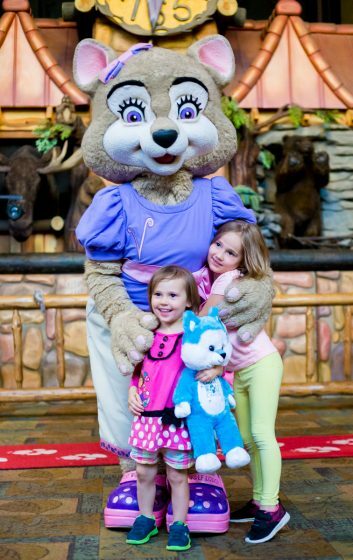 The itinerary below is based on a four day stay at Great Wolf Lodge Kansas City as well as a Paw Pass experience. 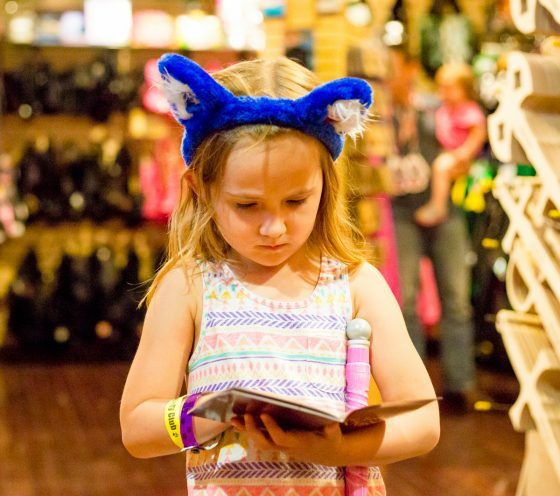 Check in, get your wolf ears, drop your bags, and head to the water park. 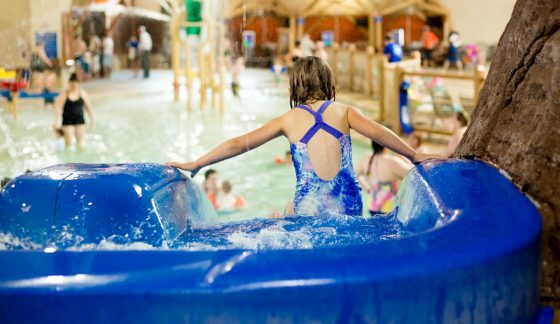 Your first day at Great Wolf Lodge Kansas City will want to be filled with what Great Wolf Lodge is known for – their water parks! 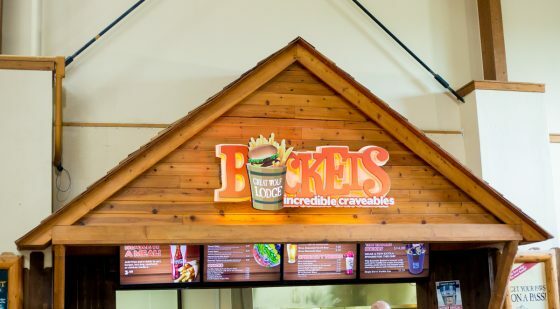 After some time at the pool, grab your first meal at Buckets. This quick snack-type shop is located in the indoor pool area and offers burgers, hot dogs, salads, and more. Fill up your reusable cups that you receive with your meal plan for a refreshing drink to wash it all down before you hit the slides again. 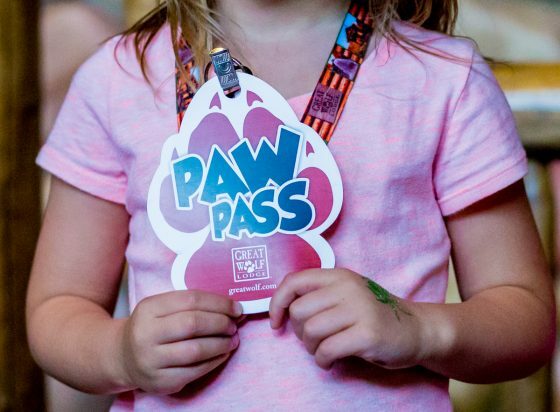 End your evening with a little bit of story time in the main lobby, followed by checking off your first Paw Pass Adventure – a cup of candy filled in their gift shop – for your first sweet treat! 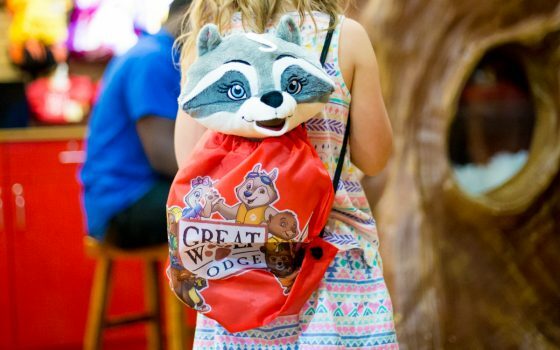 While you’re there, you can create your very own Great Wolf Lodge stuffed animal at their Creation Station. 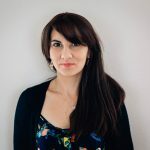 You can choose from any of GWL’s characters like Wiley the Wolf, Rachel the Raccoon, or many others. 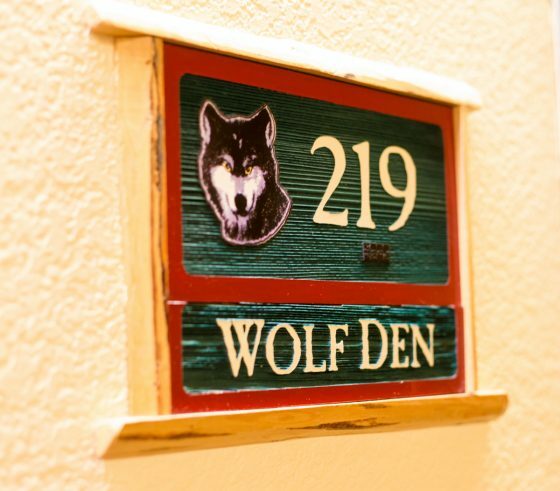 It will make the time cozying up in your Wolf Den that much more snuggly. 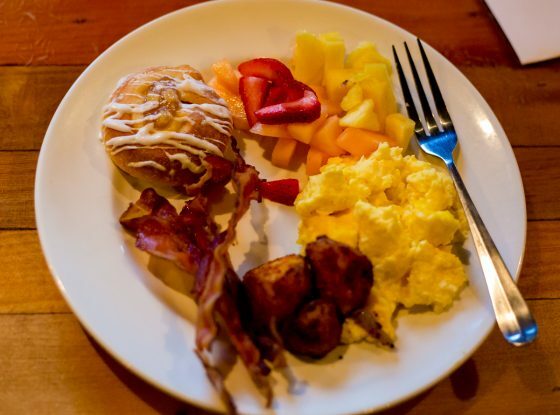 Before you hit the water park, head over to Kamp Kritter for your buffet breakfast. Here you are treated to a slew of pancakes, waffles, eggs, bacon, fruit, yogurt, and more. It’s a great way to start your fun-packed day! Once your bellies are full, you can start checking some more things off your Paw Pass while your tummies settle. 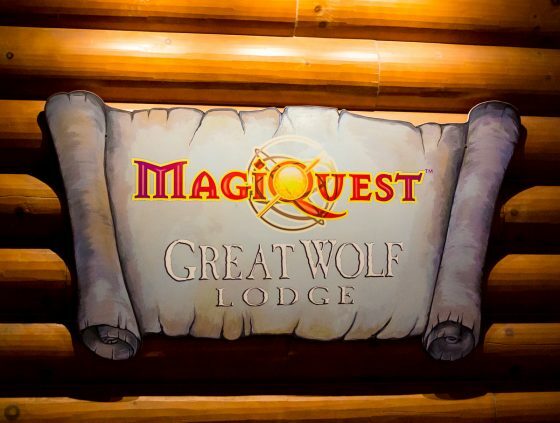 Head over to the MagiQuest game to get your Magiwand and start your adventure through the hotel floors. 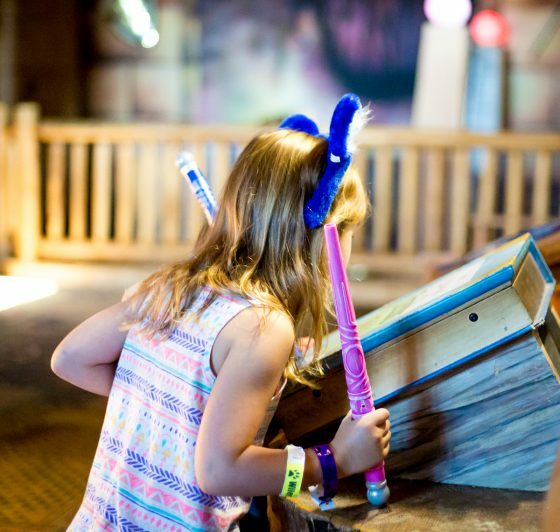 You get to choose your own adventure each time with your wand storing your completed tasks as you finish them. Open spell books, make the animals talk, and defeat the dragon in this magical adventure. Stop off for a quick lunch of take-out pizza, burgers, or other yummy meals from “Hungry as a Wolf” as you watch the fun down at the water park through the viewing windows up above. 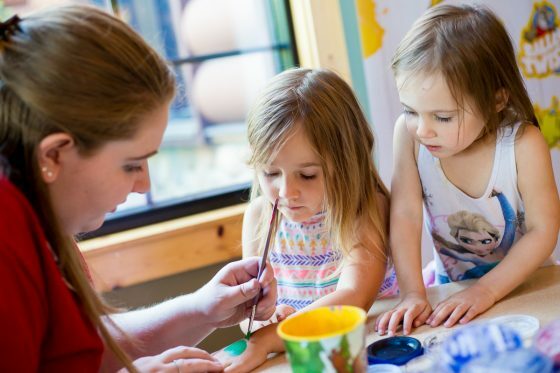 While your stomach settles, join the staff at Great Wolf Lodge Kansas City for some arts and crafts. 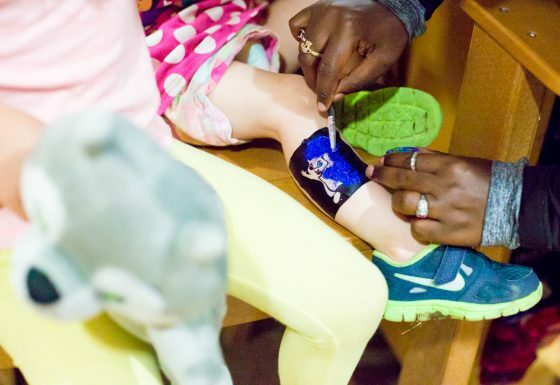 They offer coloring, face painting, games, yoga, and other craft activities depending on the day and time. The front desk will give you a schedule upon check-in. Once you’re done with your lunch and your belly is settled, it’s time to suit up again! Be sure to grab your goggles from the Swim Shop before you head out. 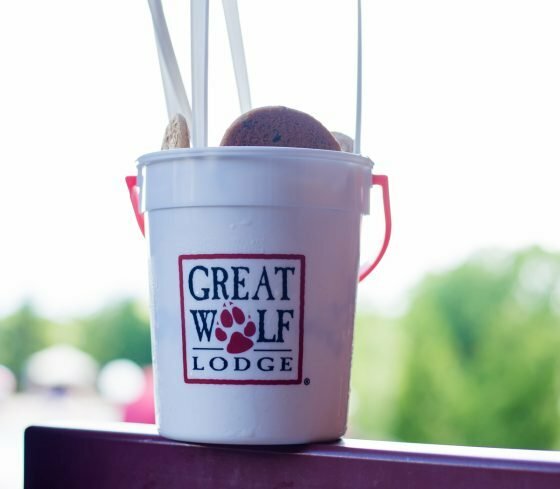 Be sure to take a break from the pool and grab the Great Wolf Lodge famous Tipping Bucket. A bucket full of soft serve ice cream, brownies, cookies, candy, and whipped cream big enough for the entire family! Finish off your pool day with some more fun on the lazy river or another slide ride (or 10!). After some tiresome pool time it’s time to relax with a Clock Tower Show and maybe a little dance party if you’re feeling in the mood. Both are found in the lobby for everyone to enjoy. 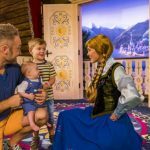 Stay for story time and to visit with one of the characters afterwards, too. Start off another adventure-filled day with a hearty breakfast from Kamp Kritter and stop for some coffee for Mom and Dad at Bear Paw. 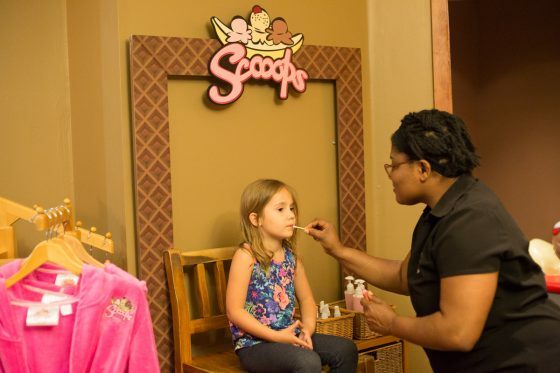 Before you hit the water slides again, take your Creation Station animal on the Wiley Adventure throughout the hotel. 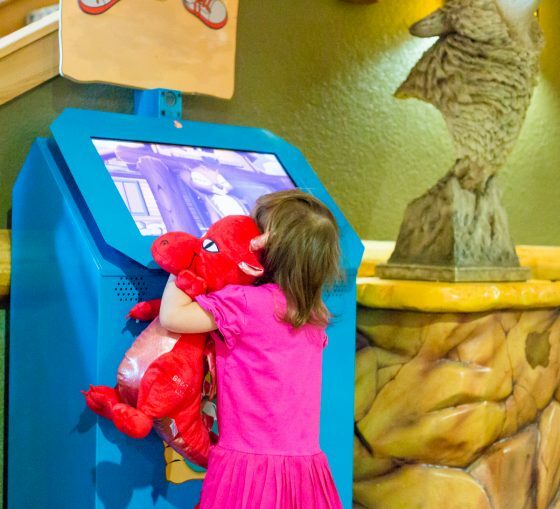 You will head to different floors to complete these tasks, all while taking your new stuffed animal with you and scanning their paws at each kiosk. You still have some time to redeem your points at the Northern Lights Arcade, so head down there to have some gaming fun. 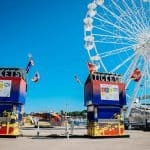 They have rides and games for everyone in the family, and your tickets can be redeemed for some fun prizes. After lunch at Hungry as a Wolf or Buckets, it’s time for some more pool action. 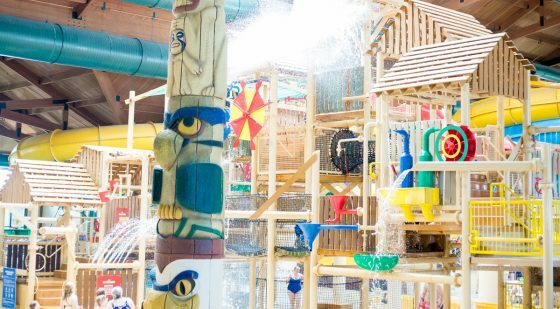 Head to the indoor or outdoor water park for some water play, water slides, or to be dumped on by the giant Great Wolf Lodge bucket. 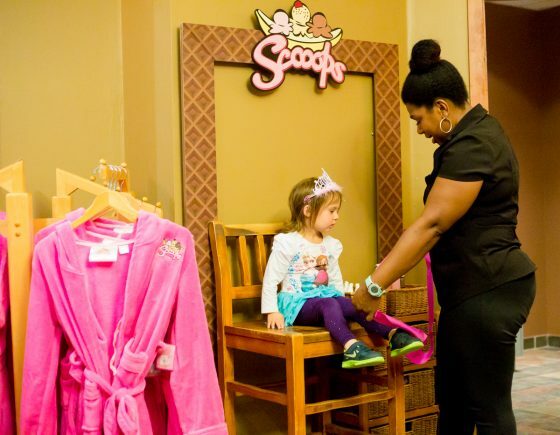 After a good clean-up, pamper your princess wolf pups down at SCOOPS spa and salon. Here they can choose their very own manicure or pedicure, choosing their own polish to take home. 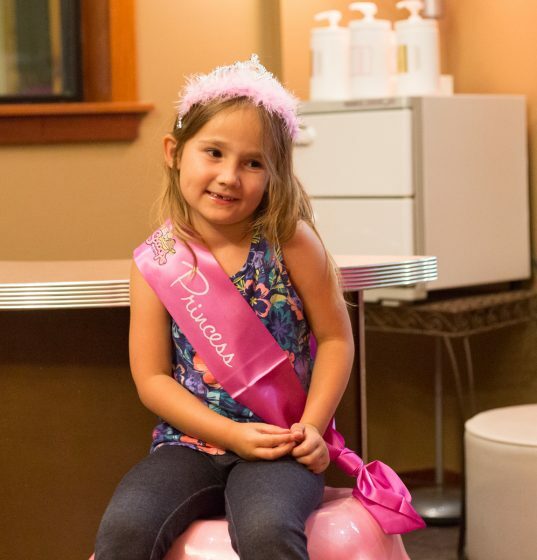 Couple that with a Sprinkle – which includes scented hair spray, scented lotion, lip gloss, a crown, and their very own princess sash – and your little one will be feeling nice and relaxed after an amazing vacation. Have a special last night dinner at Kamp Kritter with a juicy steak, hamburger, or delicious salad. The kids have plenty to choose from with their kid’s meal options, and they will even have a souvenir cup to take home with them. 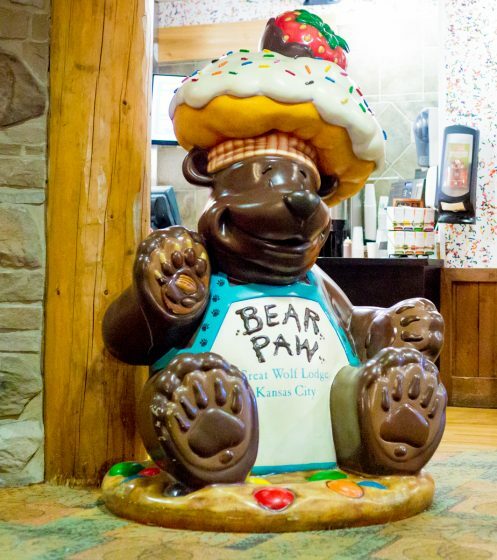 Finish off your day with a special treat from Bear Paw, Great Wolf Lodge Kansas City’s speciality treat store, with an ice cream cone or a Great Wolf Lodge Cookie. 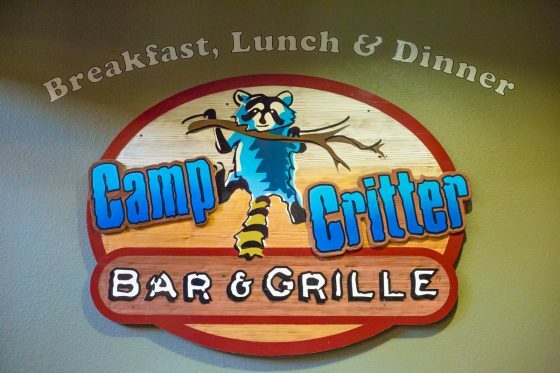 Before you check out, enjoy your last day of breakfast at Kamp Kritter. Since you won’t be swimming anymore, today is a great day to get your Glitz glitter tattoo and Leather Treaty bracelet down by the swim shop. 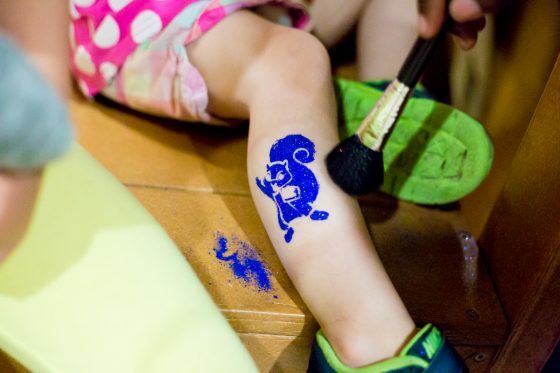 Choose your tattoo and your glitter color for the tattoo and allow the artist to get to work. Once your tattoo is complete, you can choose which color leather bracelet you’d like. 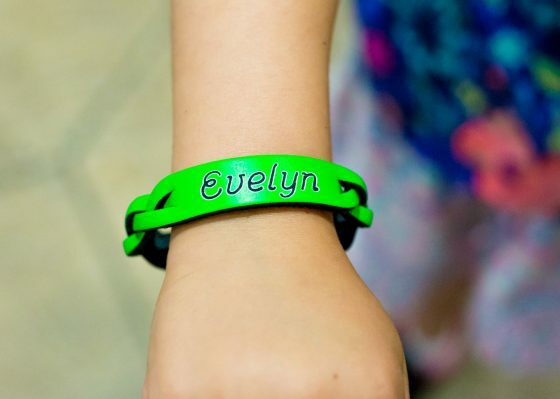 They will inscribe it with whatever you’d like, although your name is usually the most popular option. Be sure to stop by Bear Paw for one more treat (and a coffee for Mom and Dad!) before you head out the door. 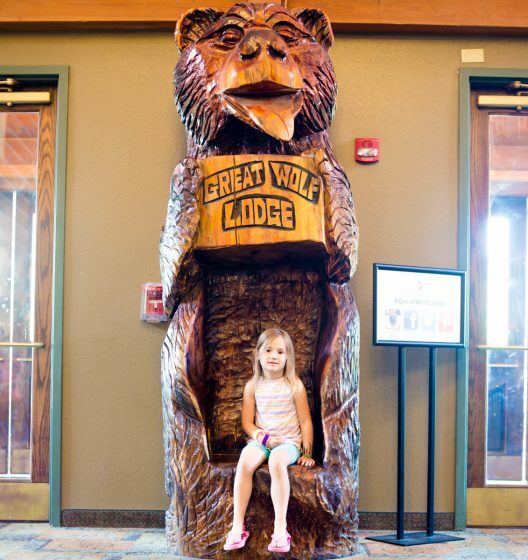 Now that your stay at Great Wolf Lodge Kansas City is complete, you can can go home and get some rest – you are going to need it after all that fun! 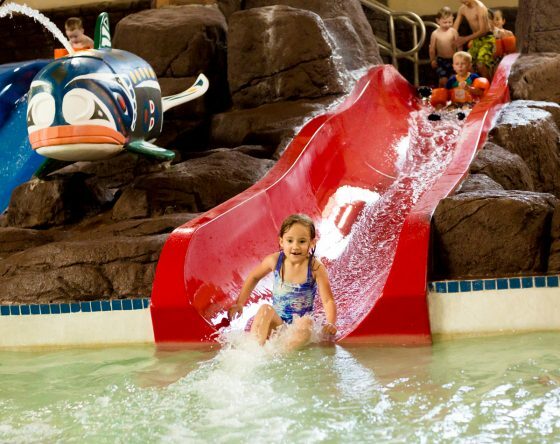 Great Wolf Lodge Kansas City is a great option for your next family vacation. 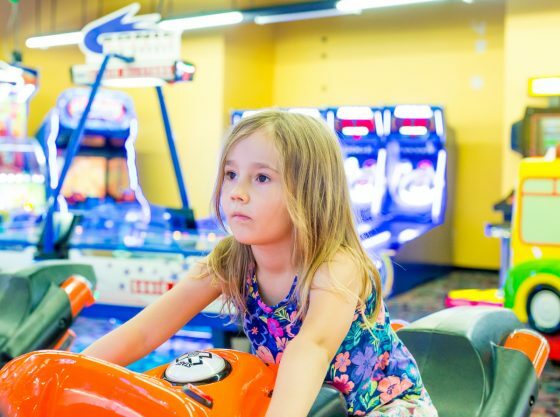 Not only are there several things to do within the resort including the water park, arcade games at Northern Lights Arcade, MagiQuest, Wiley’s Adventure, SCOOPS Spa and Salon, and lobby activities, but there is also so many things to do in Kansas City itself. With a comfy room, a meal plan, and your Paw or Pup Passes you will be all set to enjoy your next family vacate. 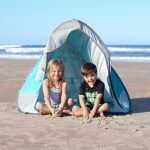 For more family vacation ideas, check out our Travel section right here on Daily Mom!